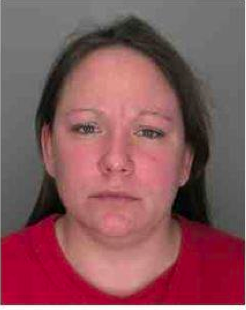 Recently, Clarkstown police responded to the home of a 38-year-old female resident of New City to investigate a reported larceny from her bank accounts. The victim noticed two unauthorized debits from her TD Bank accounts. The first was a $10,000 debit from her savings account and the second was a $2,300 debit from her checking account, both showing CarMax Auto Finance. She reported this to the TD Bank Fraud Department who investigated and reported that a male suspect was responsible and her accounts were compromised. A computer IP address for the transactions was traced back to Florida. The victim has closed both accounts. A warrant is out for the arrest of 37-year-old Benjamin Huntoon for larceny and possession of stolen property. The white male is described as six feet tall with brown hair and blue eyes. His last known residence was in Spring Valley. Anyone with information is encouraged to call 845-639-5880. On June 18 just after midnight, 74-year-old Tomas Rivera of Garnerville was stopped by police due to erratic driving on Cinder Road. Upon being stopped, the driver continued to have the vehicle in drive with his foot on the brake. He was slow to respond to police urging him to put the vehicle in park. Police noticed an open beer in the cupholder. Rivera was processed, released to his family and will appear in court on July 18. Michelle Jackson is wanted for larceny by the Haverstraw Police Department. Tips about the wanted 37-year-old can be made at tips@haverstrawpolice.org or by calling 845-354-1500. On June 14 at 10:14 a.m., 23-year-old Giovanni Olivieri was charged with criminal trespass and criminal mischief. Officers responded to a call from the Nyack Plaza Apartments where someone allegedly kicked in a door and entered the residence. The intruder was chased out of the residence by the occupants and a witness claimed it was Oliveieri. He is being held on $500 bail at Rockland County Jail to later appear in court. On June 3, Orangetown Police partnered with New York State Police and the New York State Liquor Authority to conduct an underage drinking detail. While checking licensed premises in Nyack to ensure no underage drinking, state police arrested a bartender from Nyack Pour House and charged him with unlawfullu dealing with a child. The New York State Liquor Authority made a referral against the Nyack Pour House due to this incident. On June 18 at 3:38 a.m., 24-year-old William Conway Jr. was arrested for assault and criminal possession of a weapon. 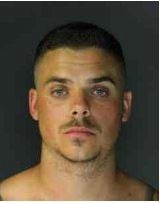 He allegedly hit another male on the head with a bottle while in Nyack’s Pour House. The victim suffered a substantial laceration to the head. Conway allegedly continued to punch the victim and hit him in the head with a chair. The male victim was transferred to Nyack Hospital. Conway was arrested at his home and released on $5,000 bail pending a court date. On June 18 at 7:40 a.m., police arrested 29-year-old Daron W. Dyke of Spring Valley for driving while intoxicated. Officers responded to a one-car accident at the intersection of Route 303 and Kings Highway in Tappan. He allegedly drove off the roadway, striking several street signs and a signal post. Dyke was transported to Nyack Hospital for a minor injury and consented to a blood test that displayed alcohol and drugs in his blood. He was found to be in possession of marijuana and an open container of alcohol. He will appear in court on July 11. Police Officer Andrew Yorke was on patrol in the business district when he observed a vehicle parked with the engine running and an occupant inside. After observing no movement for a while, the officer approached. A 75-year-old man told the officer he was trying to get back home to Pennsylvania. After hearing that the driver left home around 1 p.m. the day before to get his car fixed, the officer determined the driver was disoriented and confused. He was checked by EMS for medical issues and police contacted the man’s daughter. She was about to file a missing persons report and feared for her father’s safety. The daughter was coming to the area to pick up her father. Over the past few days, police responded to a residence on Pavilion Ridge Way where a 36-year-old man allegedly slapped and choked his girlfriend. The man was arrested and brought to headquarters for processing. 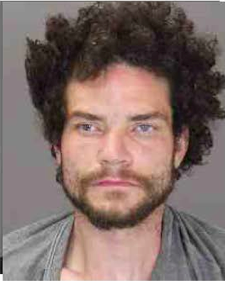 In another incident, police responded to a call from a residence on Prairie Ave. A 26-year-old man from Suffern allegedly choked and slapped his girlfriend, resulting in his arrest.